RECENART has next generation hyperspectral cameras. Our cameras allow even better resolution images of the underdrawings, restorations, vanished texts than before. 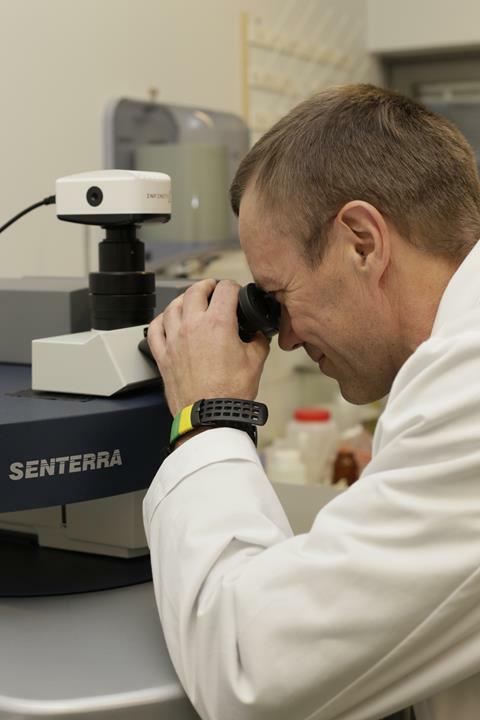 They can be used to image collections Europe-wide, thanks to our mobile laboratory. During JUNE, JULY and AUGUST we will be imaging in London, Paris and in Berlin/Fankfurt. If your artworks need imaging or pigment analysis, please contact for times, places and details: laura.aineslahti@recenart.com, +358 40 750 6415 or send a RESEARCH REQUEST. When the painting representing three women came under study to RECENART the subject was unclear for the art historians, even to those who were experts in ecclesiastical art. 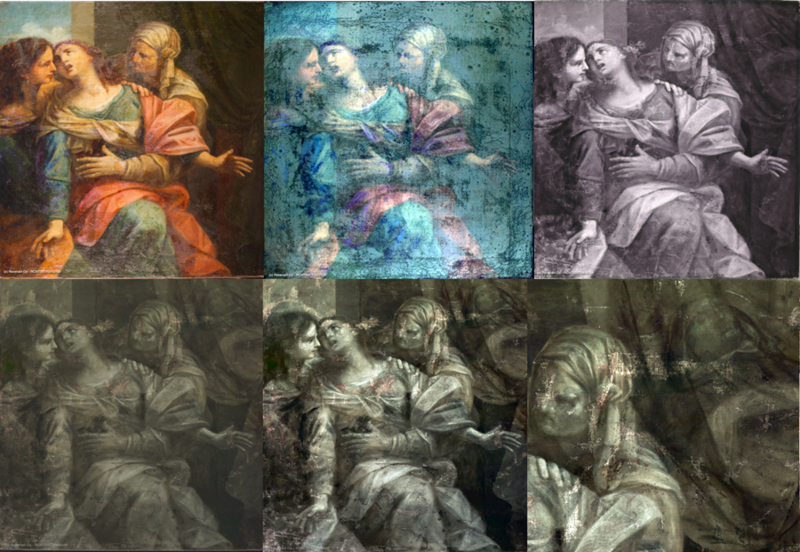 The hyperspectral imaging revealed that the curtain on the upper right of the painting was covering a figure of a woman lying on bed. After imaging the story of the painting started to made sense. It likely that it represents the death of Virgin Mary. Normal photographs provide 3 colours: red, green and blue. This type of information is known as RGB. Similarly, the human eye has only 3 different cell-types which can recognise colours (one for each of the RGB). Hyperspectral cameras used by RECENART can recognise more than 600 different ‘colours’. The cameras also work in a four times wider wavelength area than is seen by the human eye. The alleged Frans Hals was bought to a private collection in 1930s. 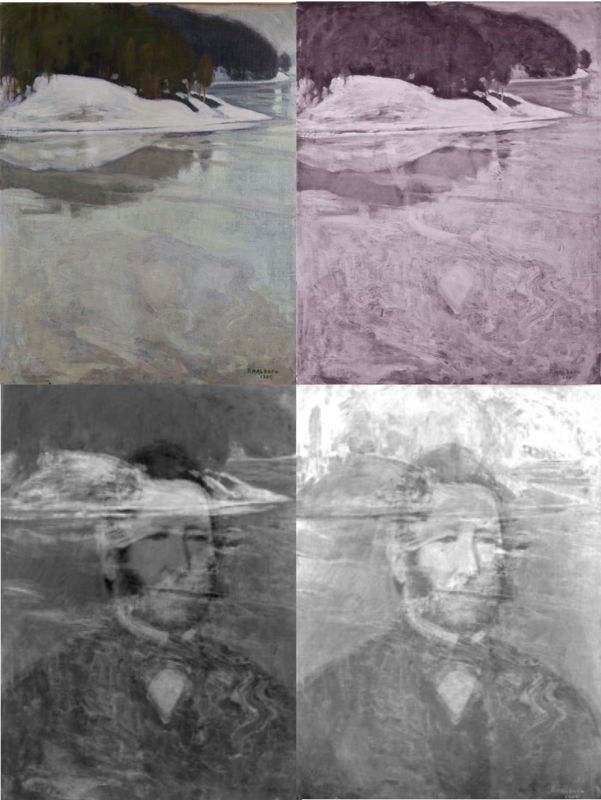 The IR-image did not reveal the still-life painting underneath. After hyperspectral imaging the still-life with flowers was seen clearly. The painting is a forgery and painted on top of an old painting. RECENART provides risk management and safety to public and private collectors, galleries, banks, and insurance companies when works of art are traded/bought, insured or used as a collateral. The ability to provide a wide range of services backed by the cutting-edge techniques and science. RECENART applies 13 different state-of-the-art technologies in imaging and material technical analysis. 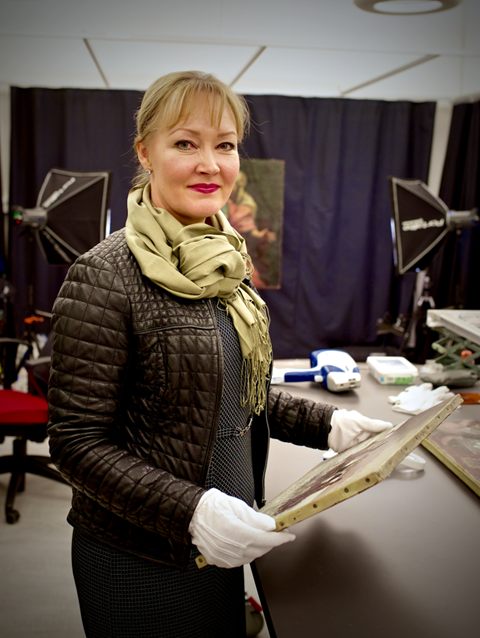 "We combine art historical research with hi-tech science for dating, authentication and other forensic purposes. Our scientists provide scientific data to answer the unsolved questions about your artwork." - Tiina Koivulahti, Managing Director, RECENART Ltd.